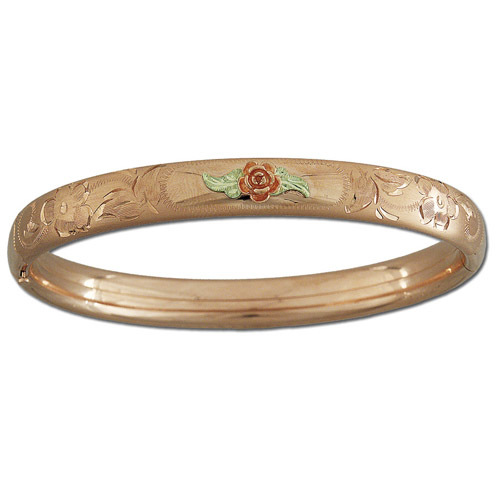 Desc: Landstrom's Black Hills Gold Rose Gold bangle bracelet. A flower is mounted at the apex of the bracelet. There is floral engraving along the length of the bracelet.